The creative music scene in Norway deservedly is celebrated for its depth and transcendence of generic boundaries, with an ever-growing community of musicians who’ve developed in the country’s sophisticated music conservatories. But the music can err on the side of good taste, with tender-footed musicians hesitant to get down in the trenches of white-knuckled improvisation. In that regard, alto saxophonist Frode Gjerstad is a paragon, a veteran free-jazz advocate and freewheeling blower who’s never forsaken his post-bop routes. 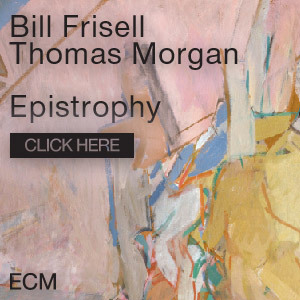 For this live recording, his working trio is joined by garrulous New York trombonist Steve Swell. On the title track, which erupts from a frenzy of notes strummed by bassist Jon Rune Strøm, the front line dances over the ferocious grooves. The musicians move in and out of the action at will, forging a protean attack, deeply agile and sleek. The pieces all contain moments of conversational repose and intense fury, and nothing indicates how locked in the group is like “Post Stop,” where a galloping groove collapses in a hilarious rip-snort conclusion. Live recordings of free improvisation inevitably lack some of the heat produced in the moment, but Bop Stop expresses that spark to great effect. 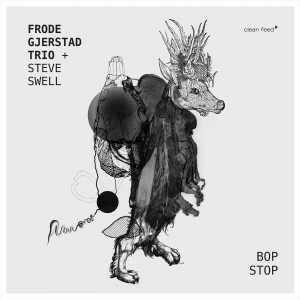 Personnel: Frode Gjerstad, alto saxophone; Steve Swell, trombone; Jon Rune Strøm, bass; Paal Nilssen-Love, drums, percussion.